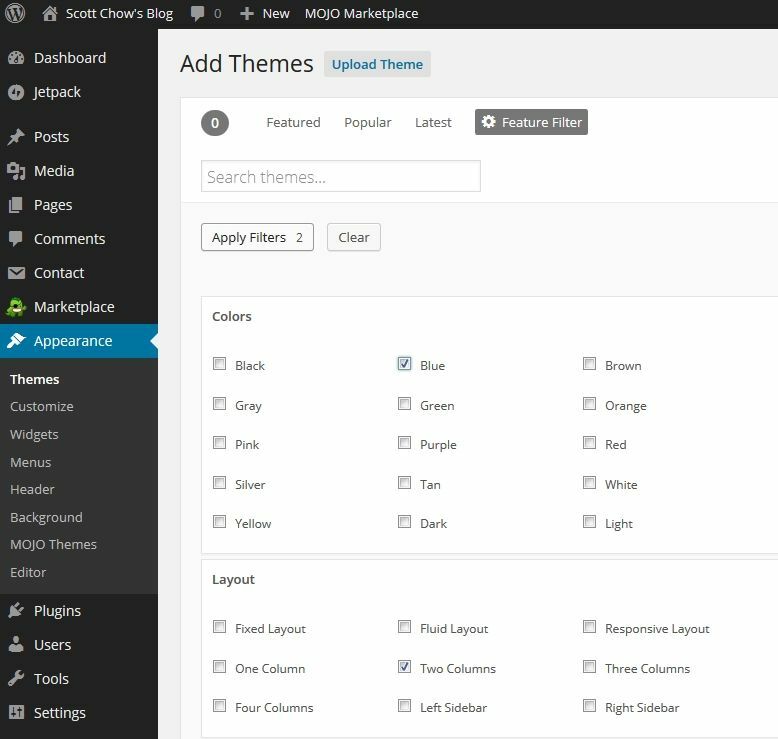 In WordPress, site layouts are known as “Themes”. 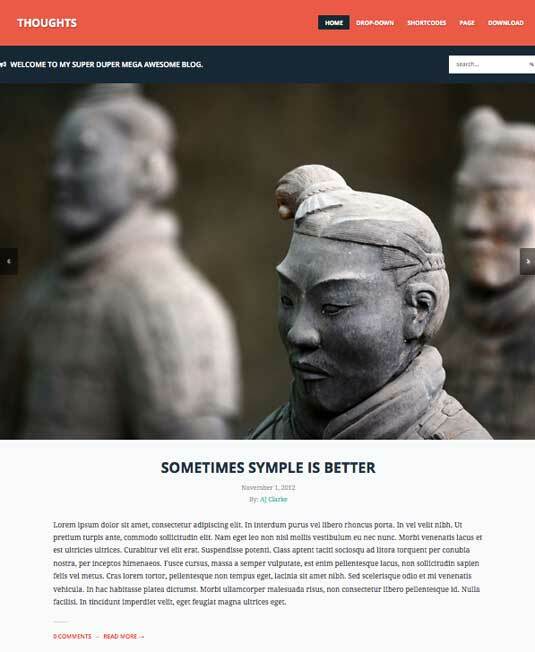 Themes control the entire design of your blog. To change your theme you are going to click on the “Appearance” tab on the left menu. 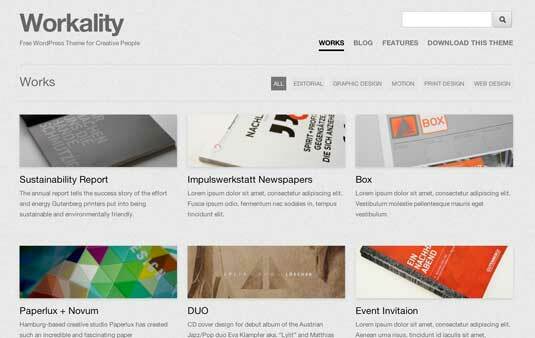 You will see several themes are already installed on your blog: Twenty Fifteen, Twenty Fourteen, etc. These are simple, clean-looking themes that can work for just about any type of blog. In fact, many of the world’s top bloggers use one of these themes. Unless you have a very specific design in mind for your blog, I suggest you use one of these pre-installed themes to start with. For our example, let’s use the “Twenty Twelve” theme. In order to activate the theme on your blog, hover over the theme and click the “Activate” button. That’s it! 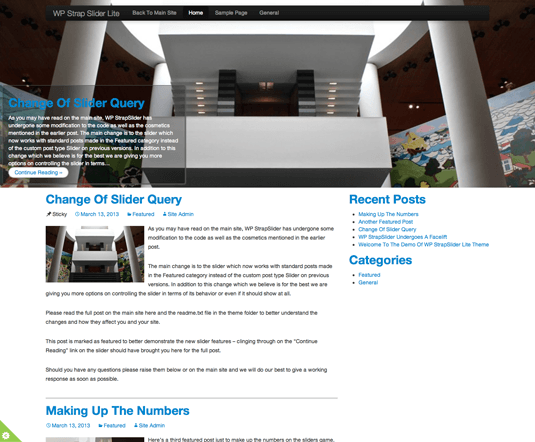 You have just changed the entire design of your blog with just one click! If you are not a fan of the themes that come pre-installed with your blog, don’t worry. 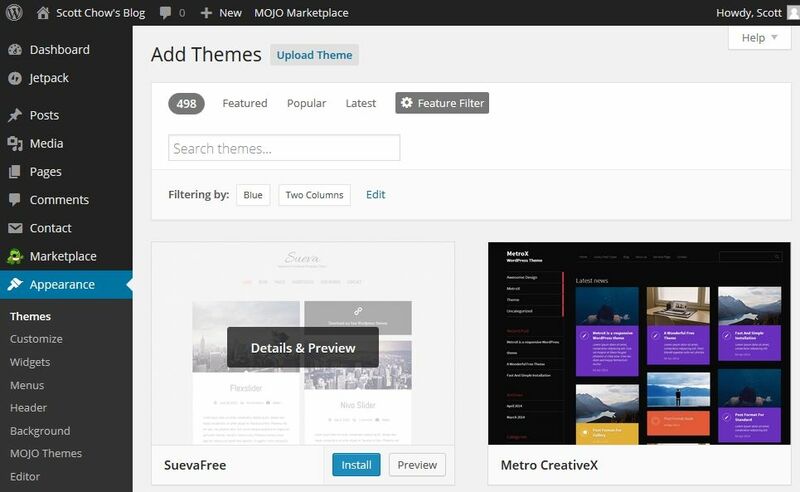 There are thousands of other free themes that you can easily install. To install a new theme, click on the “Appearance” tab on the left menu. On the screen that comes up you are going to click on the button at the top that says “Add New”. You will then be taken to the theme search screen. There are lots of different ways to find a theme you like. You can search by color, layout, and more by clicking “Feature Filter”. In the Feature Filter, check the boxes that you want and then click “Apply Filters”. 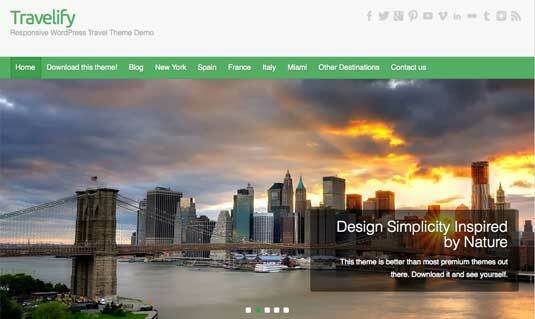 Now you can browse the themes that have the characteristics that you want. When you find one that you like, hover over it with your mouse and click the blue “Install” button. Once the theme is installed click “Activate” to activate the theme on your blog. 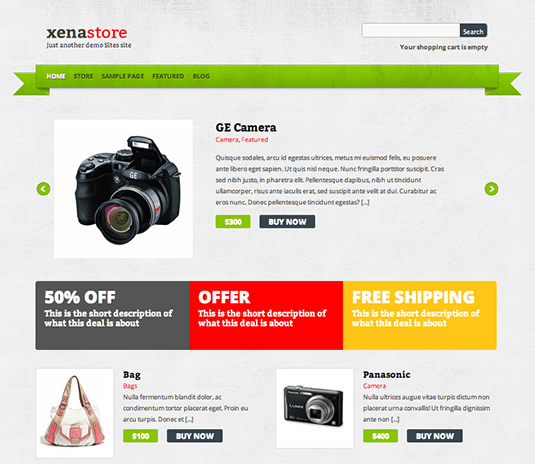 To see your new theme in action, go to your site and take a look!